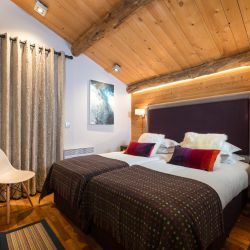 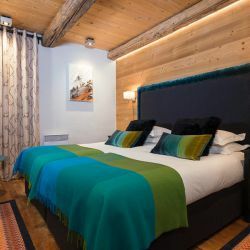 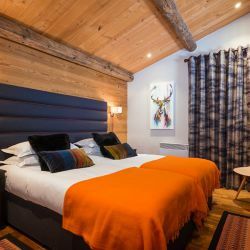 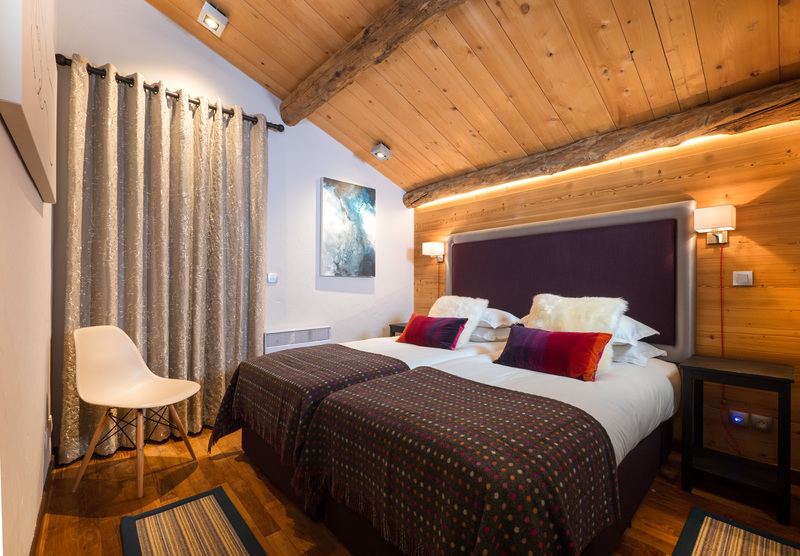 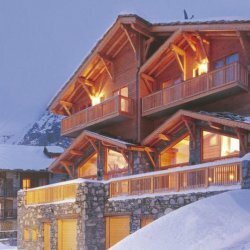 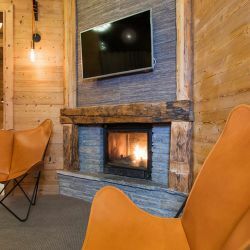 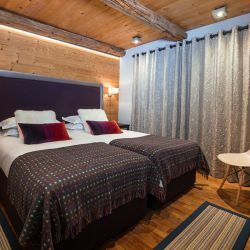 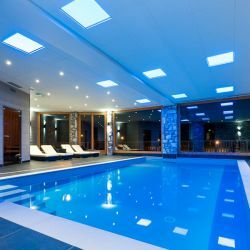 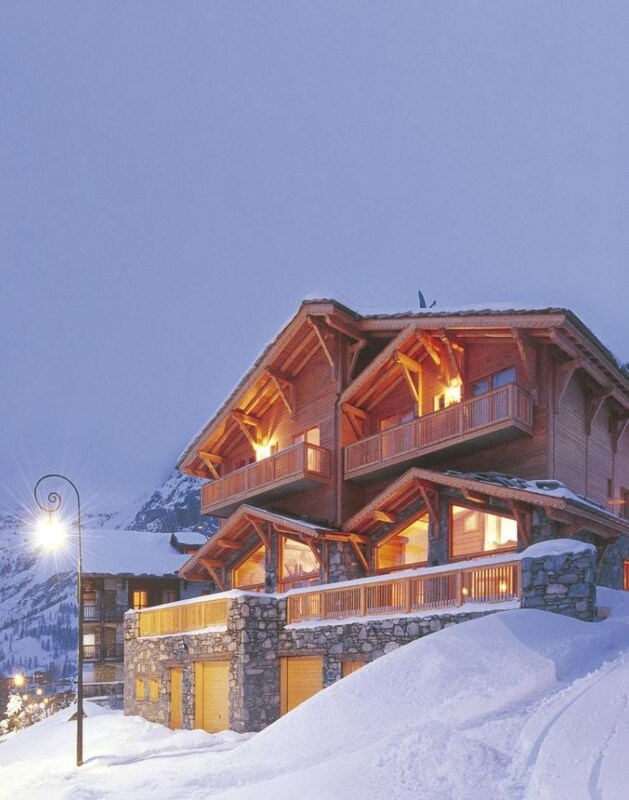 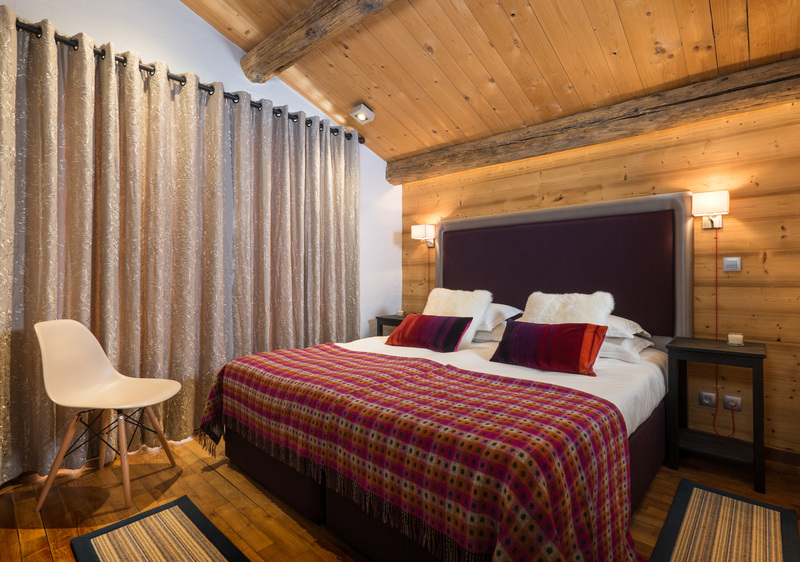 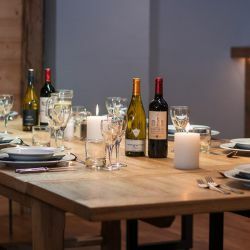 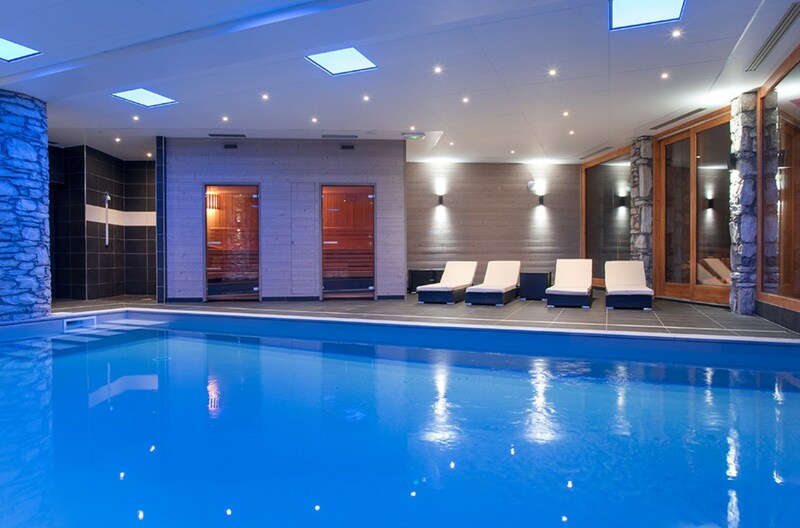 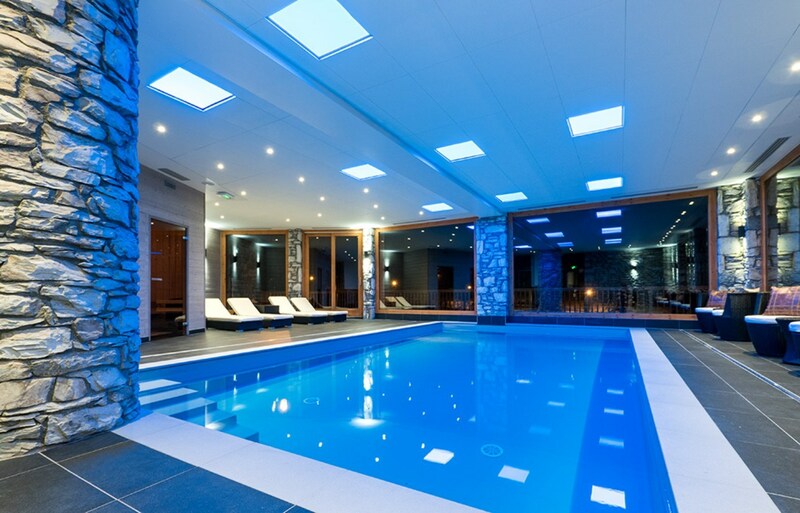 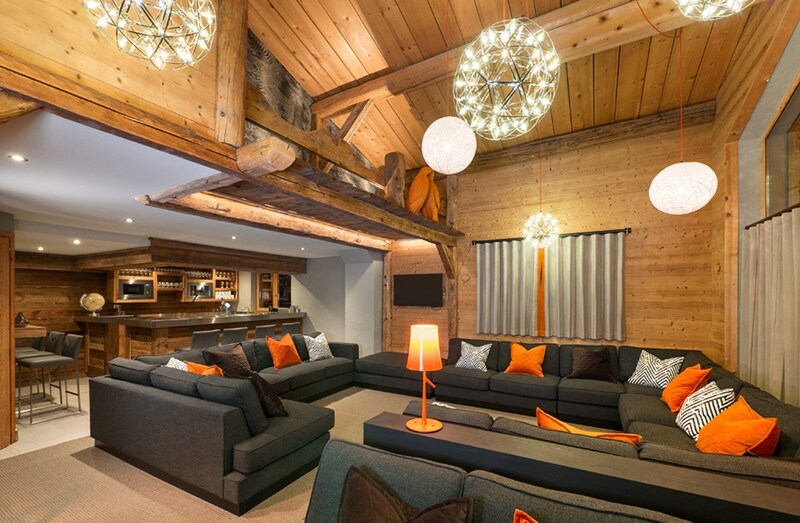 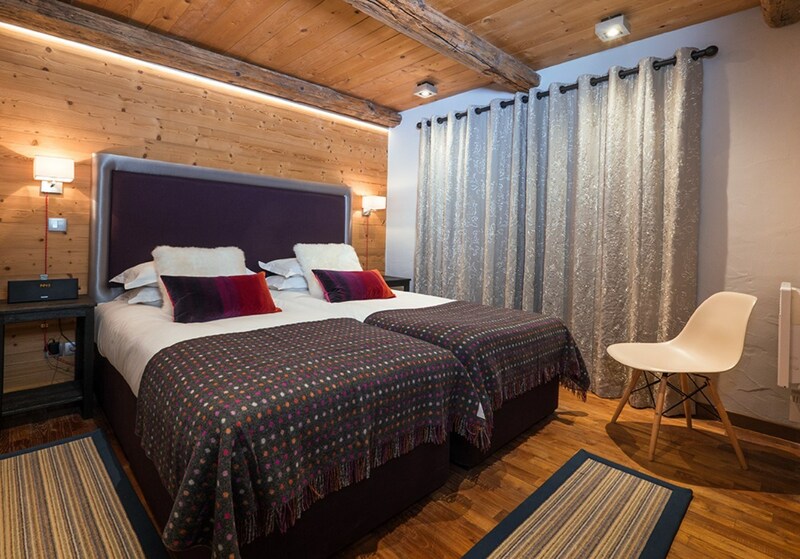 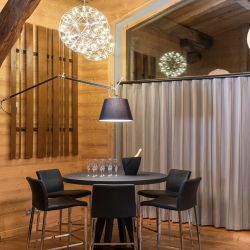 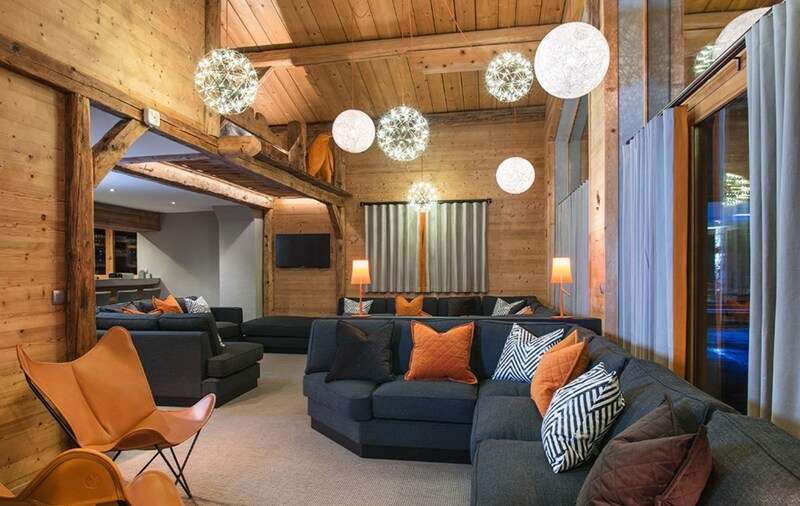 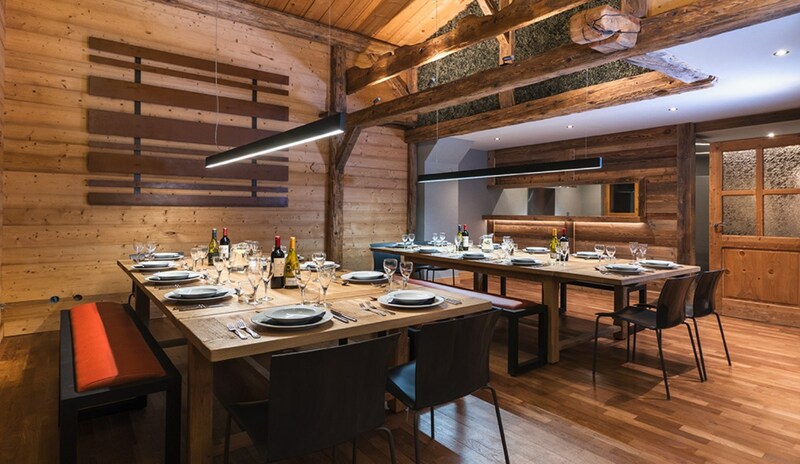 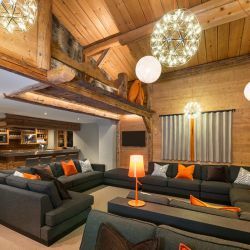 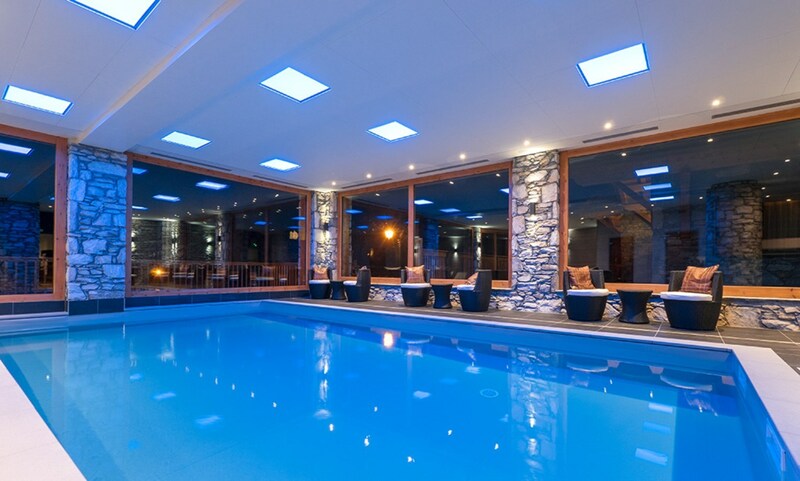 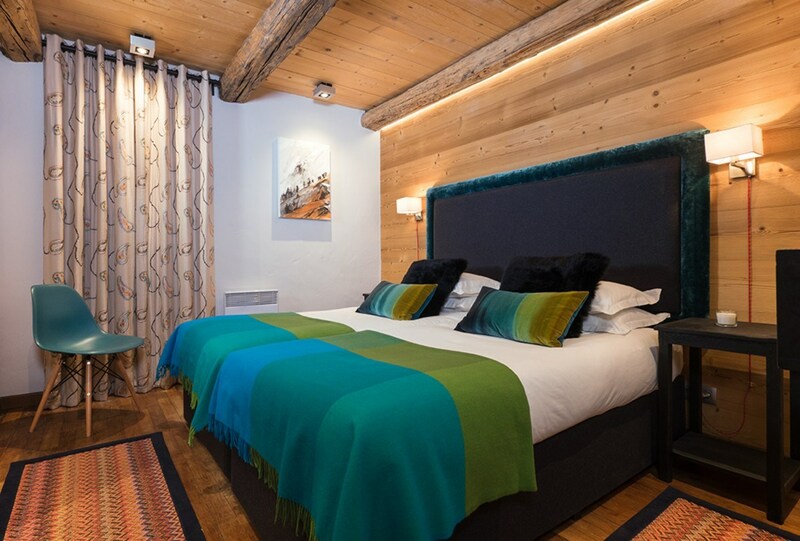 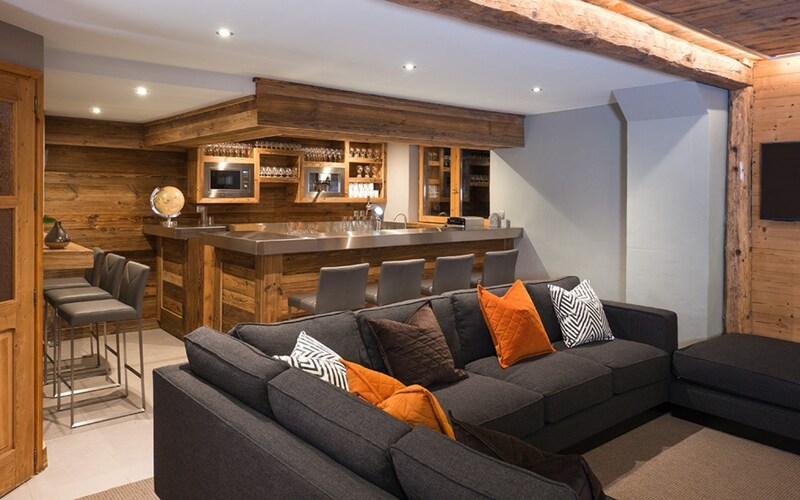 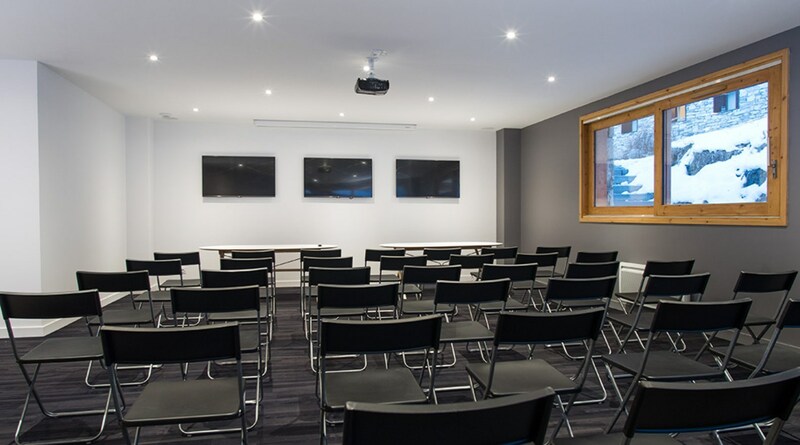 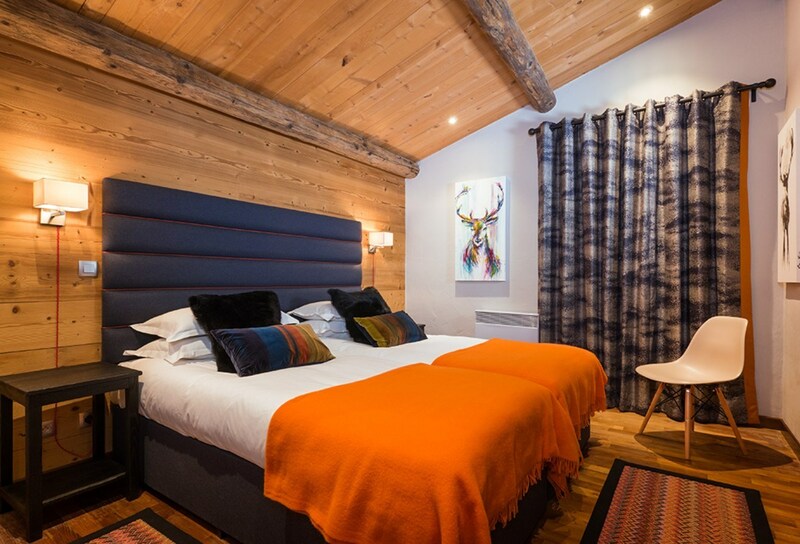 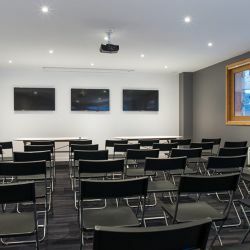 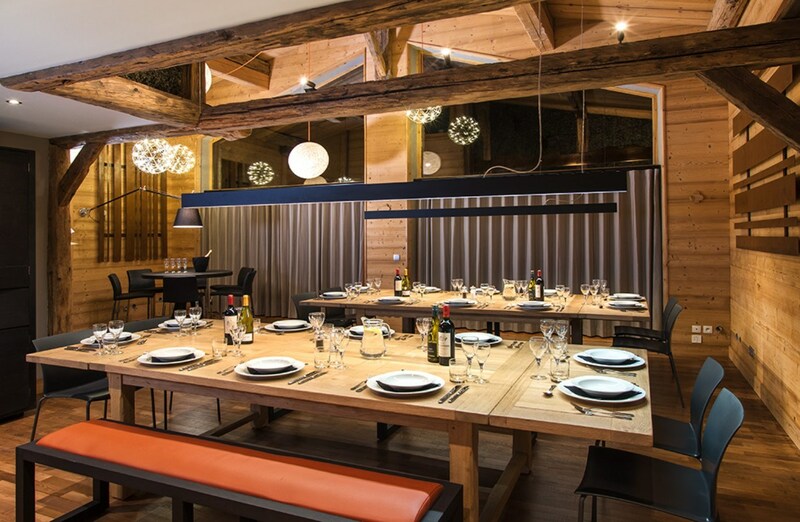 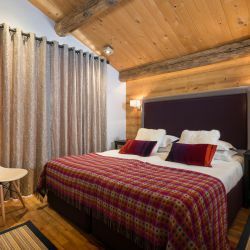 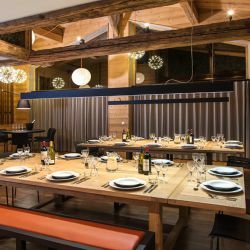 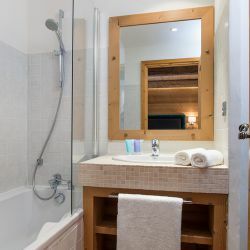 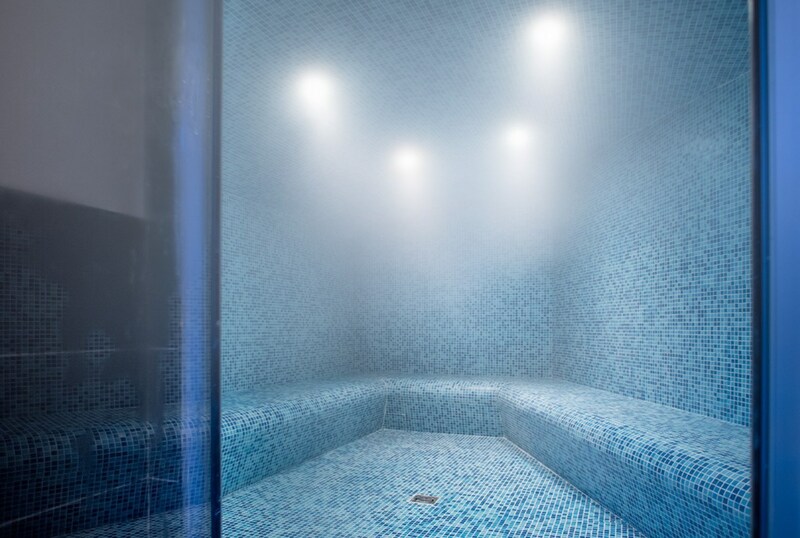 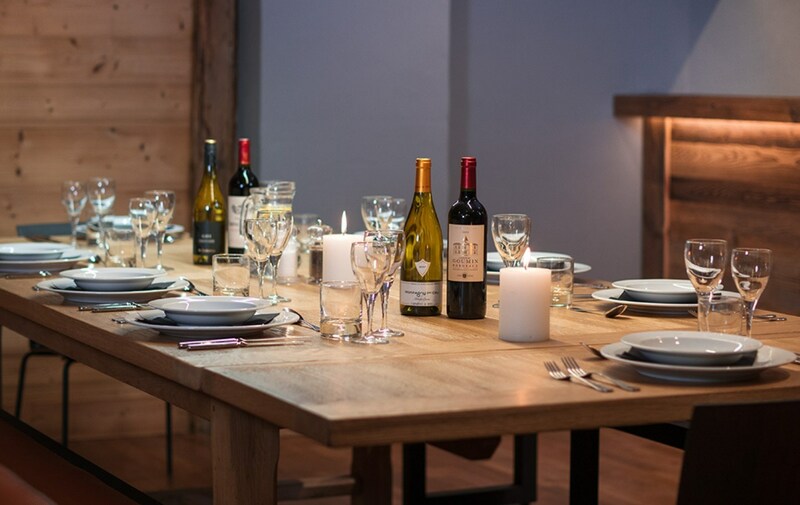 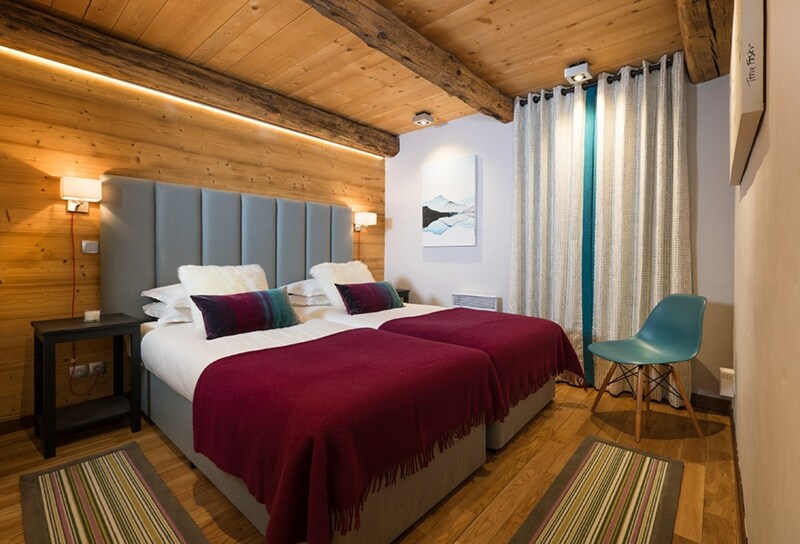 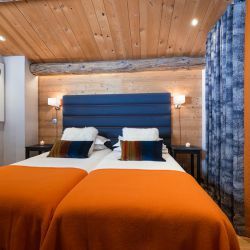 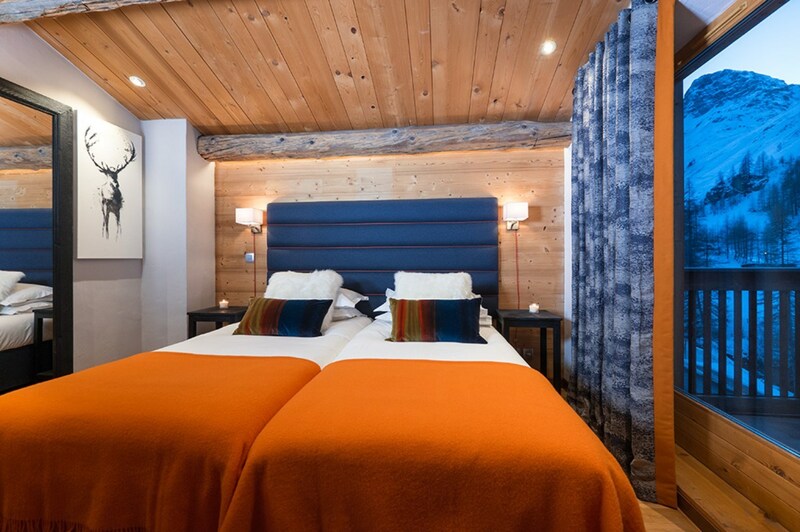 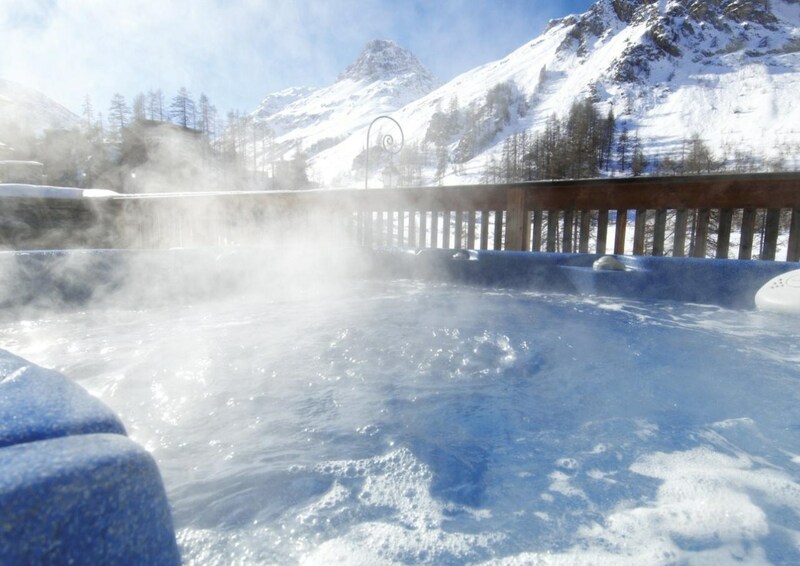 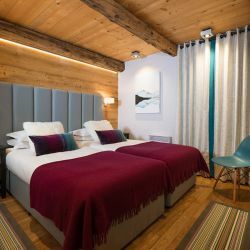 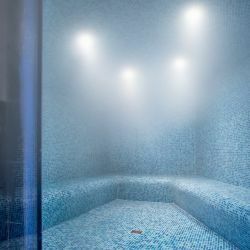 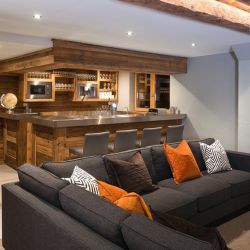 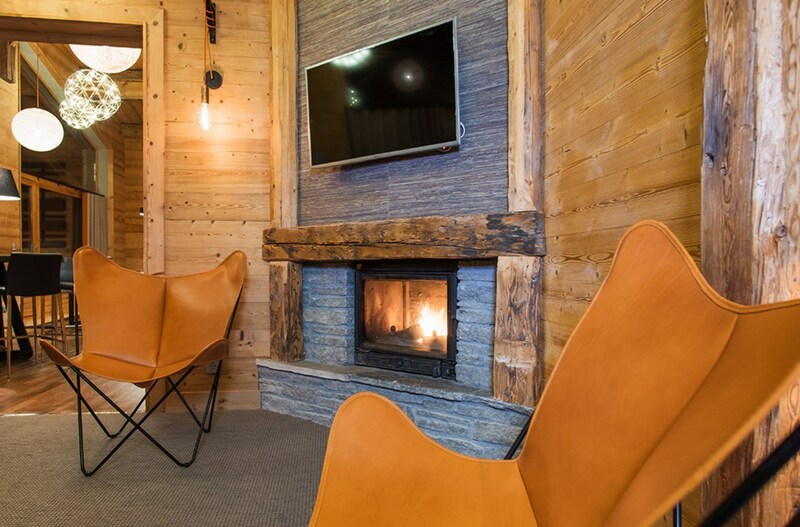 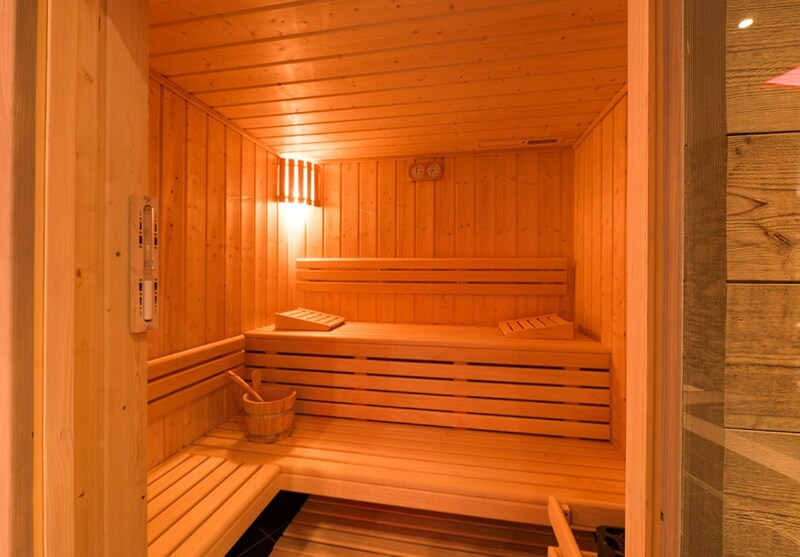 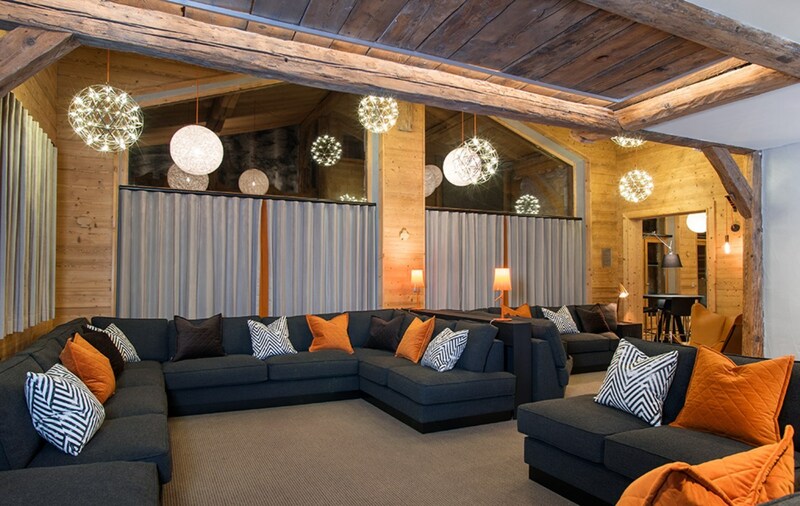 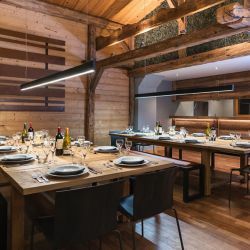 The lovely Club Bellevarde is a stone-and-timber lodge for up to 24 guests situated on the edge of the Santons piste. 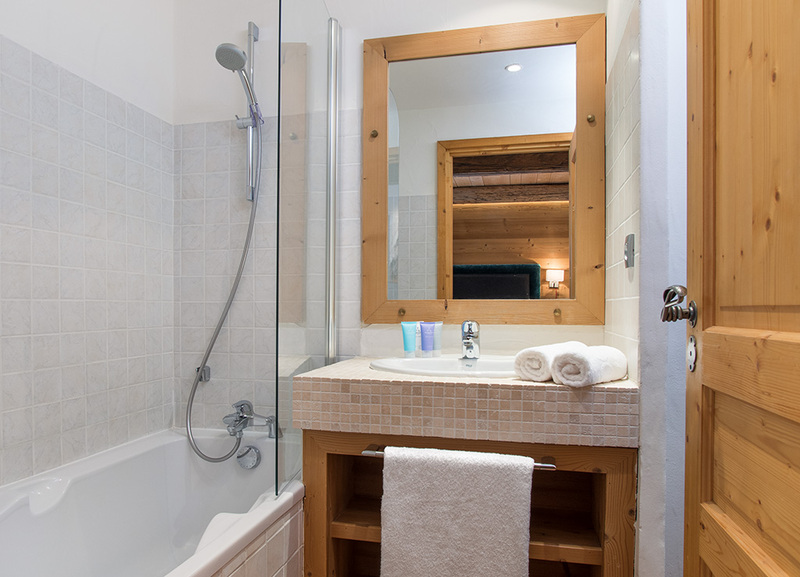 This means that you really can click in and out of your bindings a few steps from the ski room door. 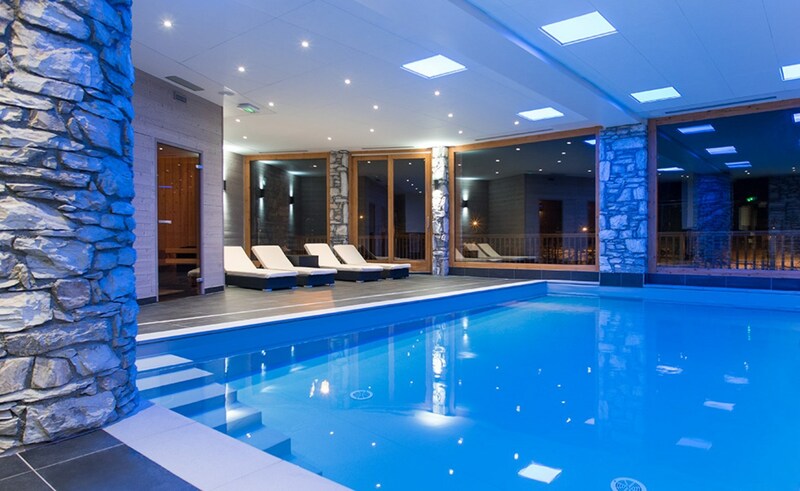 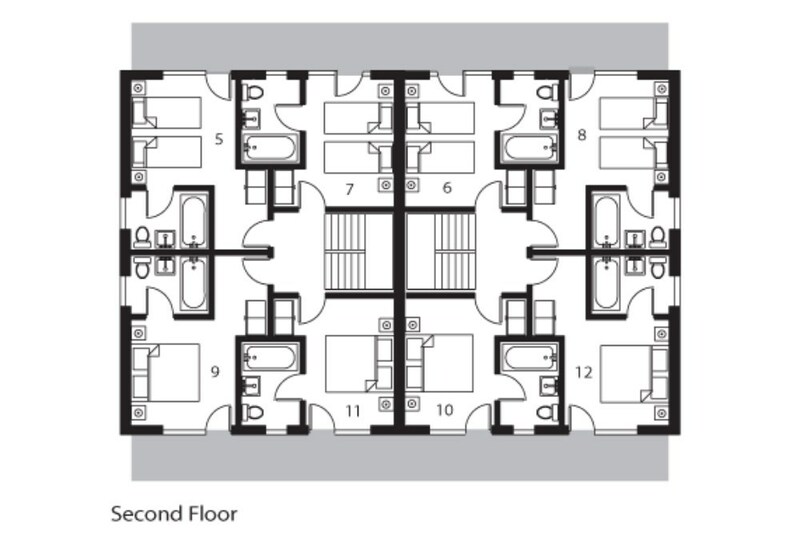 Access to Spa and Pool complex. 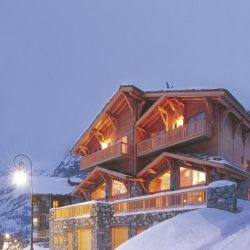 10 minute walk across the Solaise nursery slopes to the village centre. 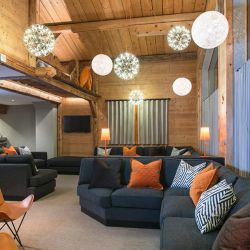 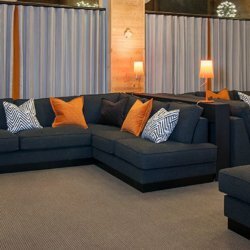 Plump and inviting sofas from which to enjoy a relaxing novel or warm your toes in front of the open fire and a cosy bar with unlimited draft beer and wine. 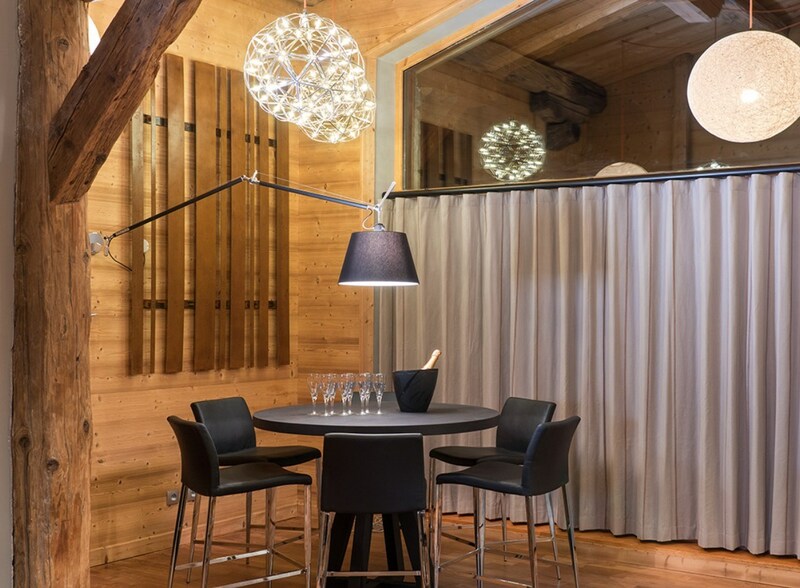 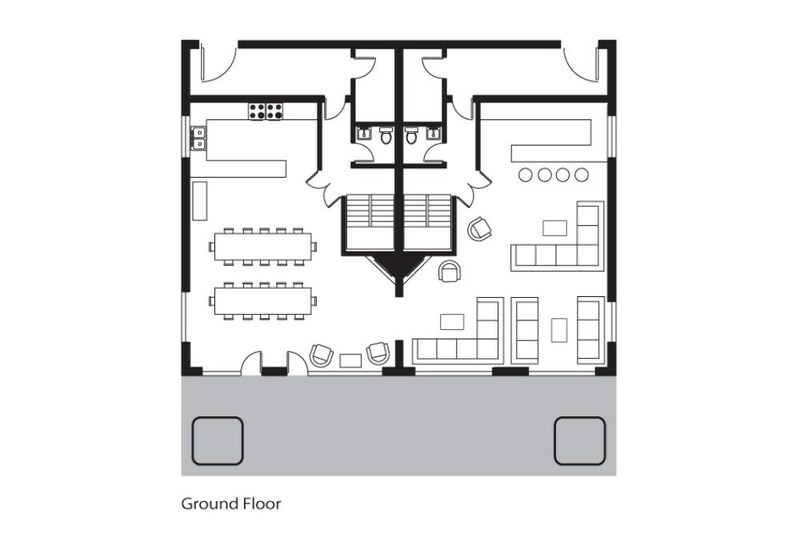 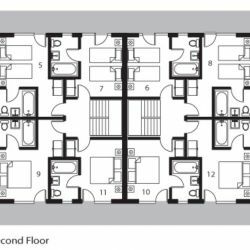 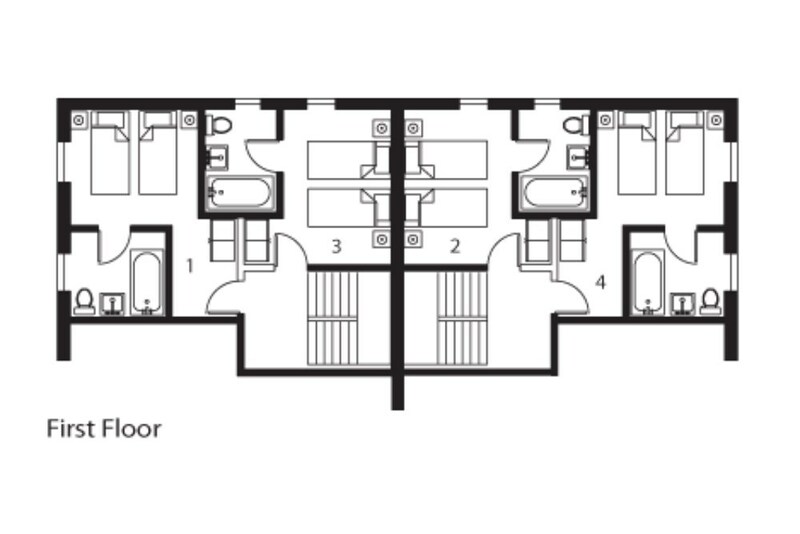 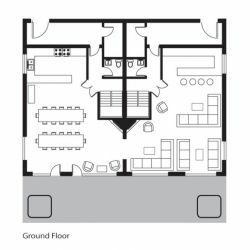 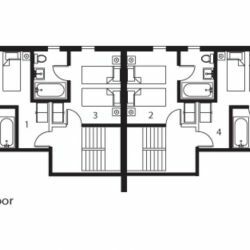 The giant vaulted dining room offers a canapé reception every evening and dining from your chef. 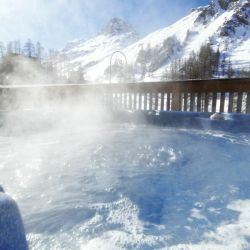 Twin hot tubs on the sprawling terrace are the perfect place to relax and enjoy the breath-taking view.